There is a link on the home page of the new store to a guide to using it. We suggest that the first time you use the store, you read this first. There are lots of possibilities! You can look for plants by name, or filter on a wide range of plant characteristics. Select the plants you want, and click to add them to your shopping cart. When you are ready, click to go to the checkout. If you register with Kevock Garden Plants (just your email address), you can then return to a partially completed order or check on previous orders. You will be asked about what substitutes, if any, would be acceptable if plants are not available, and about delivery instructions. Then you go to PayPal for secure payment. Just provide the essential payment information - and that's it! You will receive a confirmation email, and be notified when the order is dispatched. Your credit card validity is checked by PayPal, but the payment will not be taken from your credit card until shortly before the plants are sent to you. If we are unable to fulfill the whole order, a refund will be made. And if there are any problems with the order, we can contact you by email. To download order and payment forms right click here and "save target as" or "save link as" to your desktop. The forms are Word files, which you can save and then complete by editing. Then send them to us (sales@kevockgarden.co.uk) as attachments to an e-mail message. If you prefer, you can send the two halves of your credit card number in two separate e-mail messages. Or you may post the form, using the address on the contact us page. List the plants you require by writing the 3-digit code and number, e.g. ABC-9, and then the name. Letters and numbers after a plant name identify a wild collection. 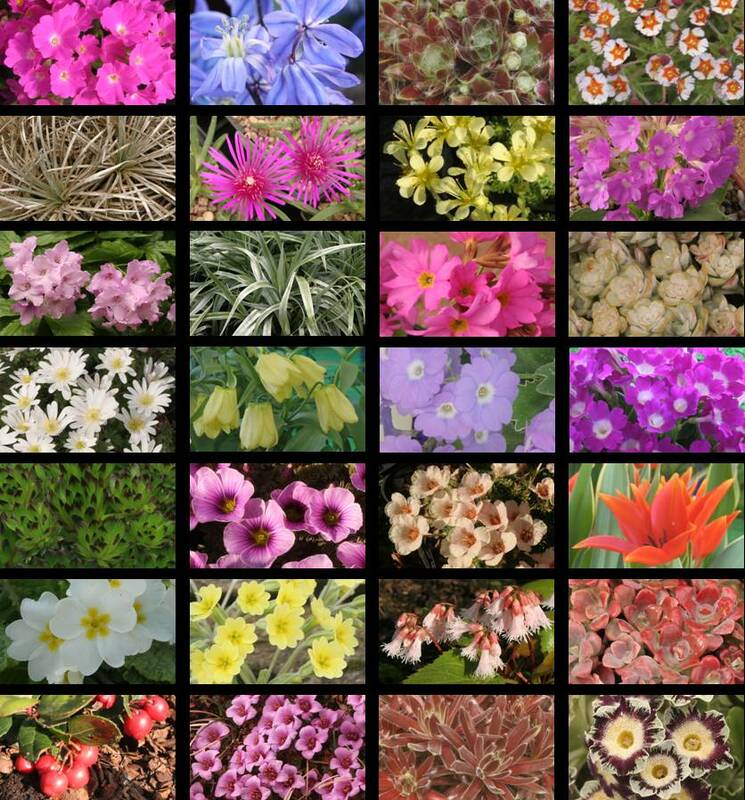 If there are several varieties of one species, and you do not mind which of these varieties you get, just list the name of the species. Provide a list of substitutes if you wish. Give any specific instructions for delivery. Note any periods when you do not want to receive them and say how they can be delivered if you are not at home. Indicate how you will be paying. Please note that there is a minimum order value of £30 for plants, excluding delivery. If you want to make a secure on-line payment, you should use our on-line store, described above. Otherwise post, phone or fax a credit/debit card authorisation. Please do not email card information. You may post a cheque if you prefer. Please write 'Not to exceed' on your blank cheque. To download order and payment forms, right click here and "save target as" or "save link as" to your desktop. The forms are Word files, which you can edit to complete your order, and then print or send by email. See instructions 1 - 5 in the 'Filling in the form' section above. Alternatively, you can download a pdf (portable document format) order form using Acrobat reader, and then print it and complete it by hand. If you do not have Acrobat reader, click on the logo to go to the Acrobat site and download it free of charge. Complete a cheque or fill in the credit/debit card authorisation on the form. Then post the order and the payment authorisation forms. See contact us for the address. Or you can fax your order and credit card details to 0131 454 0660. .... or if you really hate modern technology! You can receive a copy of the catalogue, including a real order form on a piece of paper (or, more likely, you can request one for a friend). Send three first-class stamps and the name and address to which the catalogue should be sent. See contact us for our address.